A crucial Kobas raison d’être is hospitality business analysis. 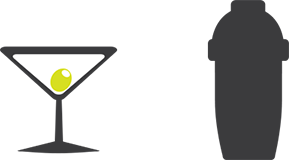 Kobas offers a growing number of reports containing invaluable business insight. This guide explains how they are grouped together and which permissions control access to them. A hospitality business is grouped into four key areas of concern: your customer interaction, your team’s labour, your operational efficiency, and your revenue. 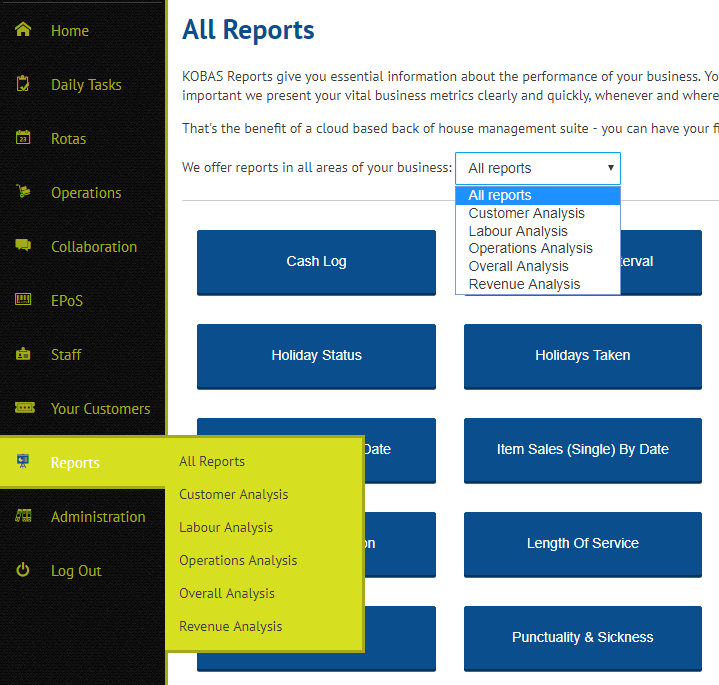 Combining these with a fifth, overarching category, the Kobas reports section allows quick access to any of these five categories direct from the navigation, and via a drop down filter on the Reports page. 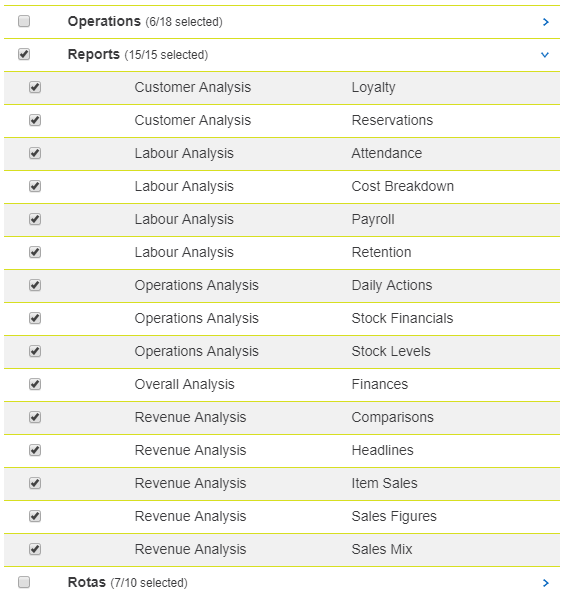 While Kobas Administrators can naturally see all reports, users at other levels in the business can be restricted to only see some of these analysis categories, and indeed subsets therein.